This year’s exhibition marks the culmination of a series of events designed to celebrate the third anniversary of the hotel, and to showcase akyra Manor Chiang Mai’s commitment to sustainability. As part of its company-wide plastic-free pledge, akyra Manor Chiang Mai now only uses paper bags and stainless steel straws in the hotel. Large woven shopping bags are also offered free-of-charge to guests for their shopping trips in Chiang Mai. These bags are also on sale at the hotel’s boutique. The exhibition sees the return of Nateepol ‘Tee’ Charoenthurayont, who uses art as a way to reflect on the vision of “a perfect person with a perfect life”. Khun Tee’s collection, entitled “Just the Way You Are”, highlights the way social media can ignore one’s true inner self, and delves into issues surrounding identity and self-determination. Adding a gritty urban edge to the artistic ambience, graffiti artist Piyasak ‘Mauy’ Khiaosaard will tag the exhibition at akyra Manor Chiang Mai with examples of his colourful spray-painted street art. 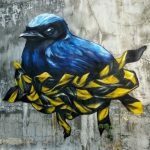 A fine art graduate, Khun Mauy discovered his favourite medium whilst visiting Germany and Switzerland, which are home to some globally renowned street artists. Today, he creates murals around the city that often send bold social messages that resonate in the modern world. 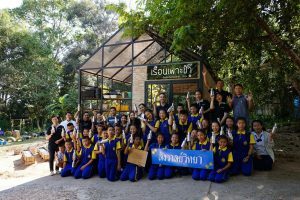 Tying together the hotel’s core pillars of art and sustainability, proceeds from the 7th Art Exhibition at akyra Manor Chiang Mai will be donated to community outreach projects at the nearby Sangwan Wittaya School. The hotel has already worked with the school to provide stainless steel water bottles, in place of plastics, and helps educate students on how to reduce plastic in their daily lives. Earlier this month, the team from akyra also created a large vegetable garden at the school. Plants, rather than cut flowers, are used to decorate rooms and restaurants, and akyra only works with certified, sustainable tour companies – including those with a commitment to elephant welfare. For F&B, the hotel purchases ingredients from local, family-owned and sustainable sources wherever possible, including Chiang Mai’s Royal Projects. Local coffee is sourced from Victory, tea from Monsoon, cheese from Doi Faan, fruit and vegetables from Kirk’s Garden and Siam Daiyashin, eggs, juices and jams from Little Spoon and cold cuts from Joe Sloane. It also uses Thai beers, wines and spirits including Chaow Siam craft beer, Chalong Bay rum, Niikki rice spirit, Iron Balls gin, and wines from Monsoon Valley and GranMonte. Chocolate from Siamaya is in guest minibars.